Greetings again from Chiropractic Help dot com. It's a privilege to share with you my thoughts about how chiropractic can help you with your aches and pains. And with general good health. That's about prevention, amongst other things, plenty of exercise and a good diet. No amount of chiropractic help, or any other help for that matter can help those who won't exercise and eat c-r-a-p. Sorry to be vulgar, but I believe strongly in the subject, having seen so many friends, family and patients die long before their time. It takes me about five hours to write a good newsletter, and this month I confess I'm going to cheat. I'm going to refer you to two recent posts. First the controversial one. Or, at least, this one does. Why? Because all horse riders fall, even those who do it properly and a fall from six feet onto your head or back can and does do dreadful things to your spine. If you believe as I do that good nutrition comes from eating a wide range of foods, even foods that you may not be that partial to, and you don't have hours to spend on food preparation, then look no further than the humble cauliflower. Not particularly rich in this or that vitamin or mineral, or nutrient, it's a very healthy vegetable that needs to be regularly in the diet. 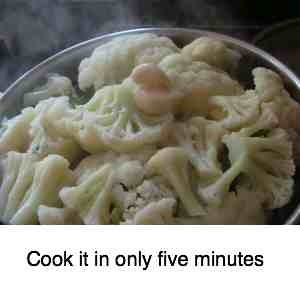 Don't buy frozen cauliflower, half the minerals are lost in the pre-cook at the factory, and it takes only five minutes to cook. Thank you for the messages of encouragement from those of you who have ordered copies of my Bernard Preston books (my nom de plume). It is great news how much you have enjoyed them. Read Stones in my Clog? Only $2.99 on your Kindle, smartphone or tablet. Gems healthful and funny from the Chiropractic Coalface in Holland.